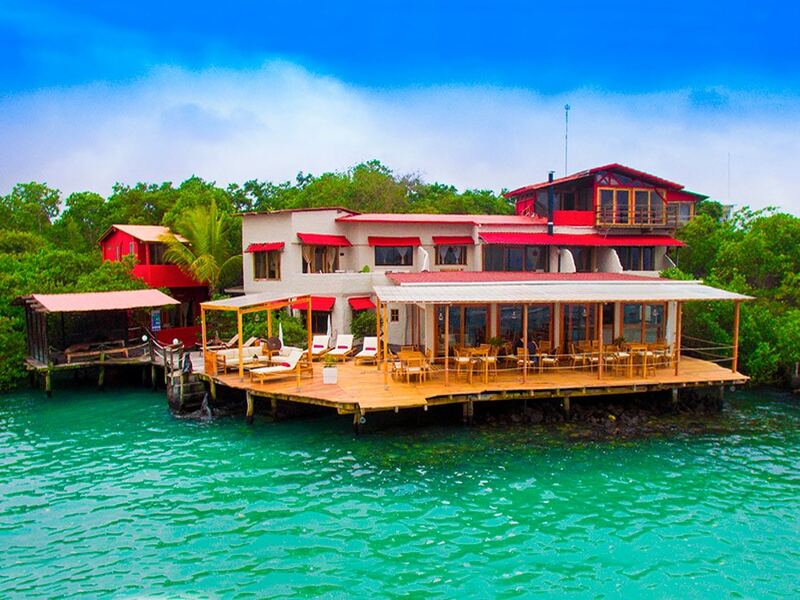 The Galapagos Habitat Hotel • Use the form below to contact us directly. 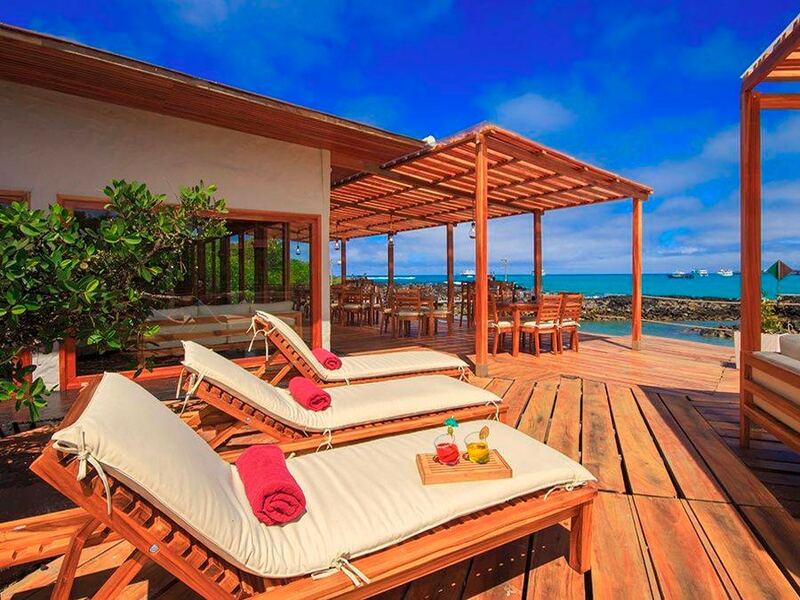 Fill in the fields to check availability & reserve direct with The Galapagos Habitat Hotel. 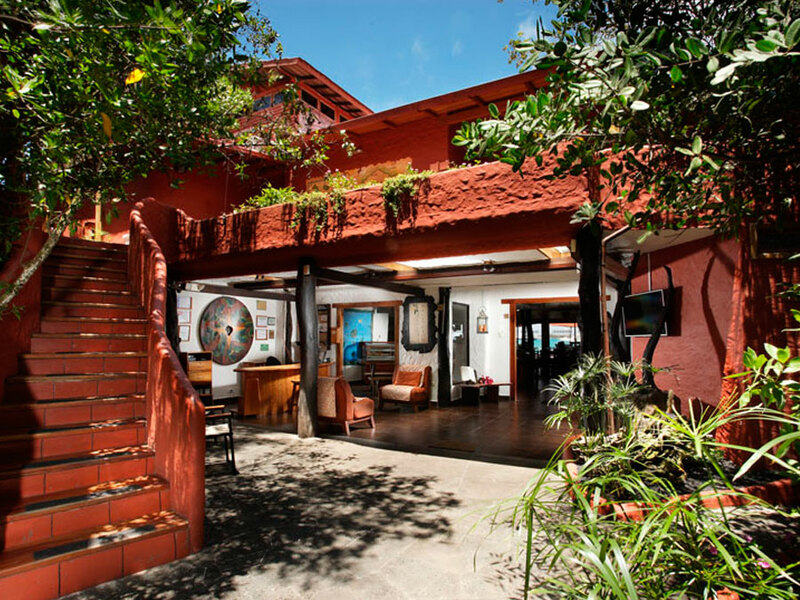 Offering very comfortable accommodation and package tours for the Galapagos Islands, the Galapagos Habitat Hotel (previously the Red Mangrove) is positioned on the island of Santa Cruz. 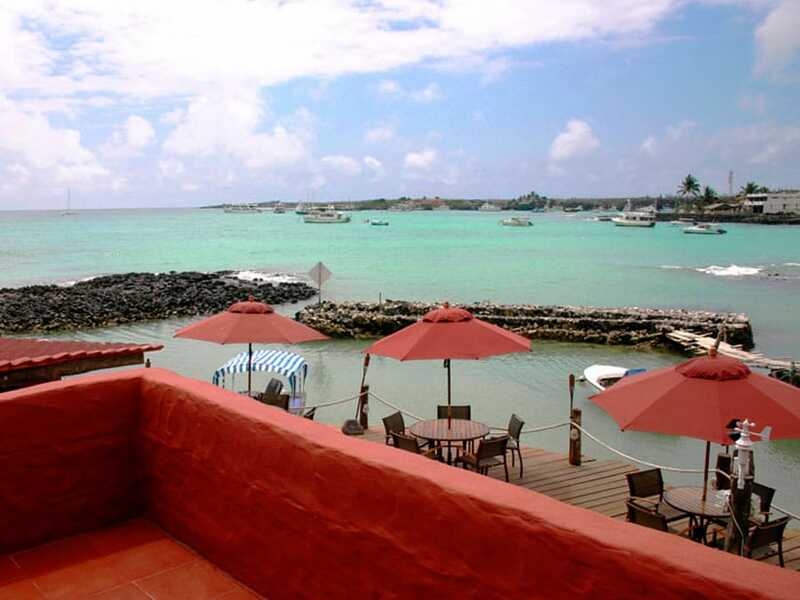 Even from the comfort of the hotel itself, you can see sea lions, herons, sally lightfoot crabs, marine iguanas and more. With very comfortable ocean-view suites and superior rooms, the hotel was designed to blend in with the surrounding environment of the mangrove forests and coastal area. 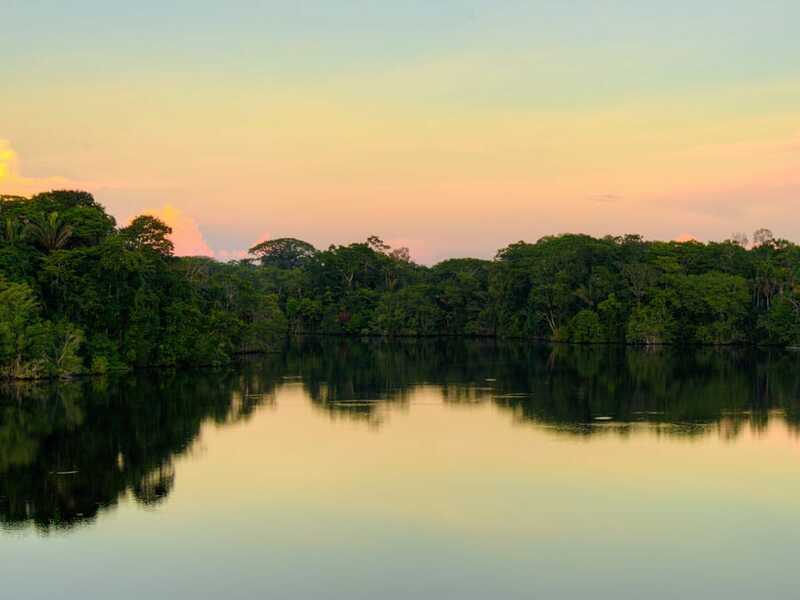 In addition to spotting some incredible wildlife, from the hotel you will also enjoy beautiful views of Puerto Ayora bay and the mangrove ecosystem. 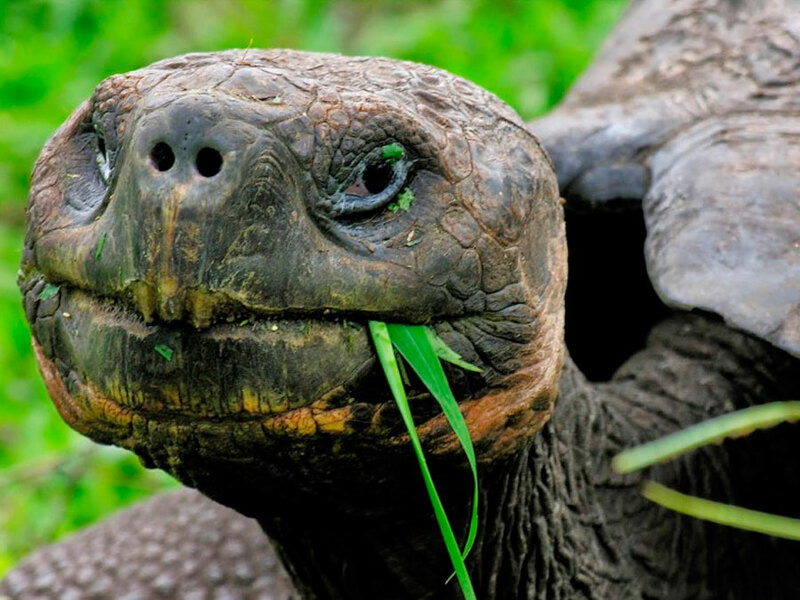 On the package programs, enjoy delicious breakfasts, lunches as specified, and guided day tours from the Galapagos Habitat Hotel to visit the surrounding islands. 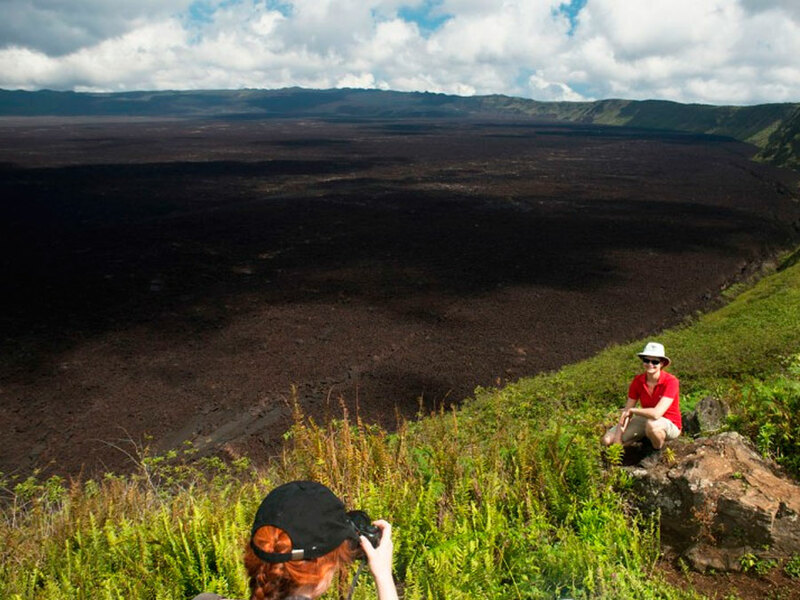 Experience a fascinating diversity of wildlife, many different land-forms, and beautiful views of the Galapagos archipelago. 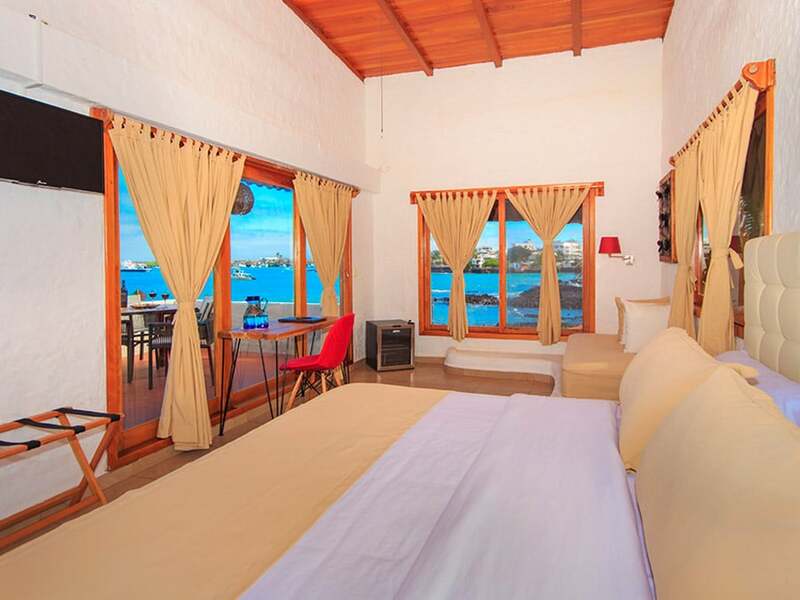 At the Galapagos Habitat Hotel, enjoy very comfortable Galapagos Islands accommodation in a choice of either large and spacious suites with ocean views or superior rooms. 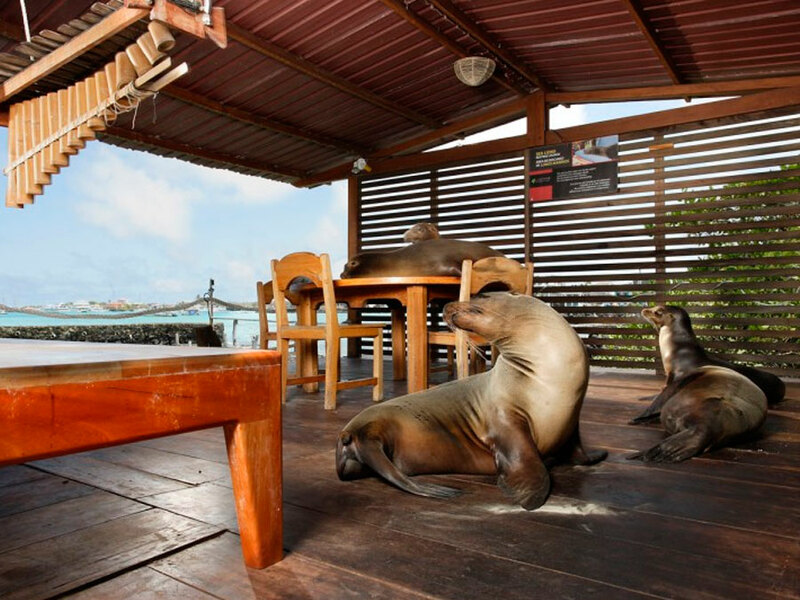 In addition to the total of 17 comfortable suites and rooms, you will find the restaurant for delicious breakfasts, and the deck where you can relax with some sea lion companions. This is also a great place to spot marine iguanas and finches. 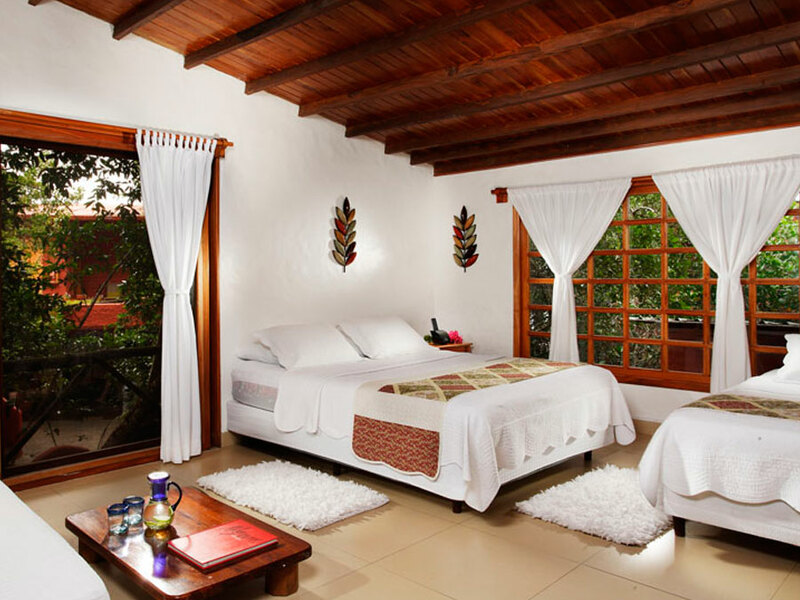 From the Galapagos Habitat Hotel, you can enjoy the accommodation and organize your own activities or choose the Galapagos Habitat Hotel 4 or 5-day package tours. 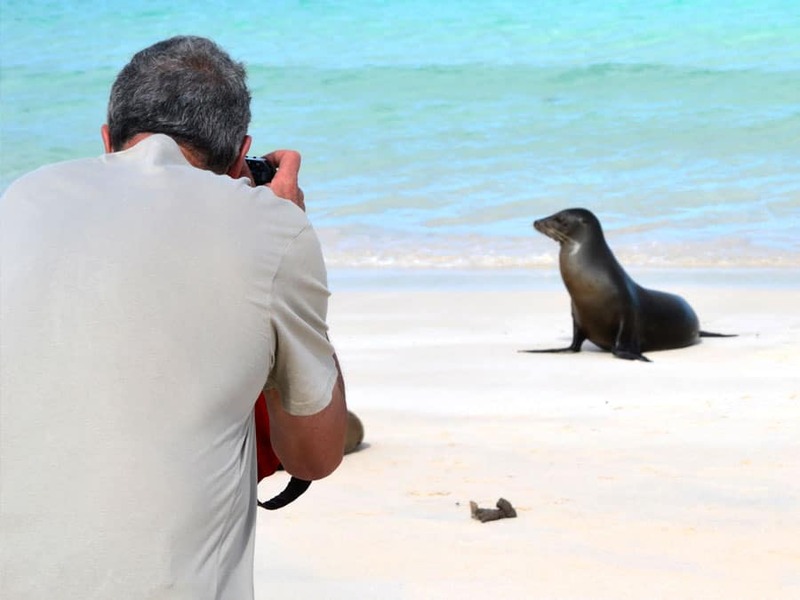 The 4-day and 5-day island hopping tour packages from the Galapagos Habitat Hotel include accommodation, breakfast, and lunches as specified in each itinerary below. 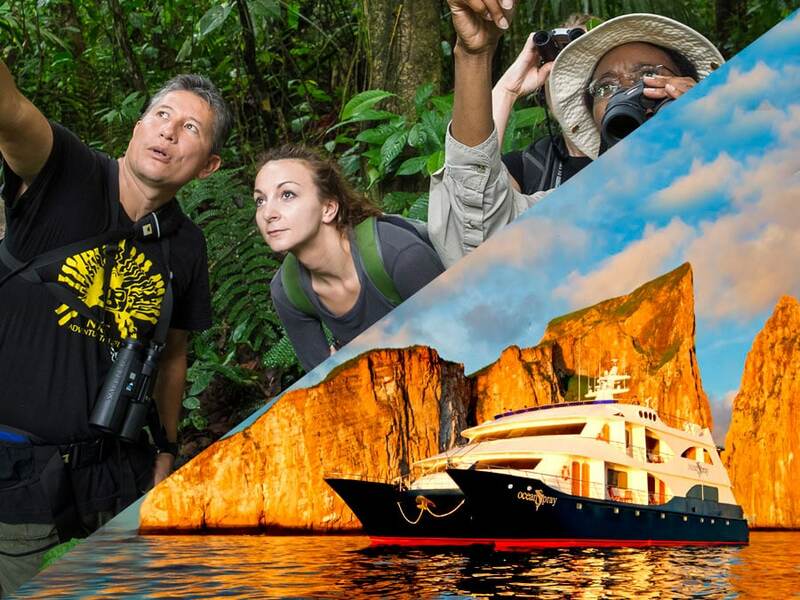 Enjoy exploring the incredible islands on guided tours and being transported to each area in yacht. See some incredible wildlife, land-forms, and beautiful views. 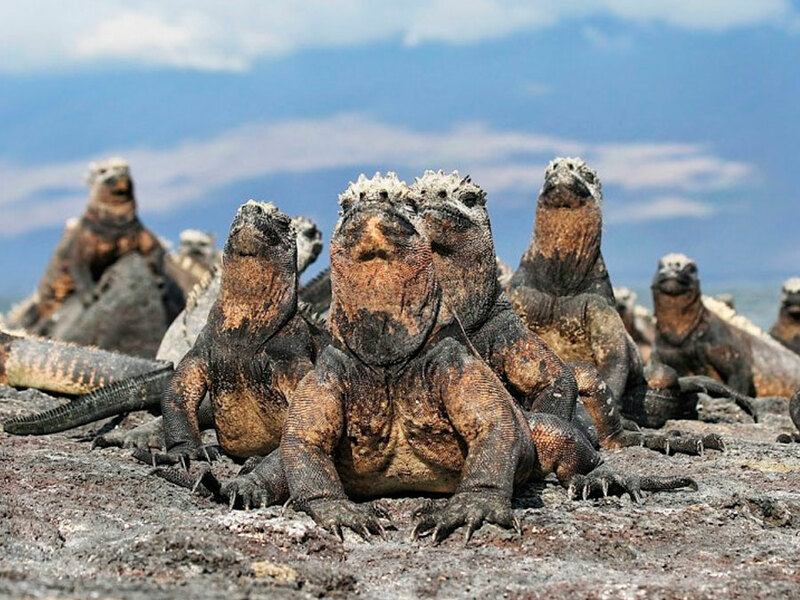 Depending on the islands you choose to visit in the itinerary, you can spot Galapagos penguins, land iguanas, mockingbirds, ground doves, blue-footed boobies, puffins, marine iguanas, and the giant tortoises. Snorkel with sea turtles, sharks, white tip reef, tropical fish, sea lions, green sea turtles, and many other unique marine species. 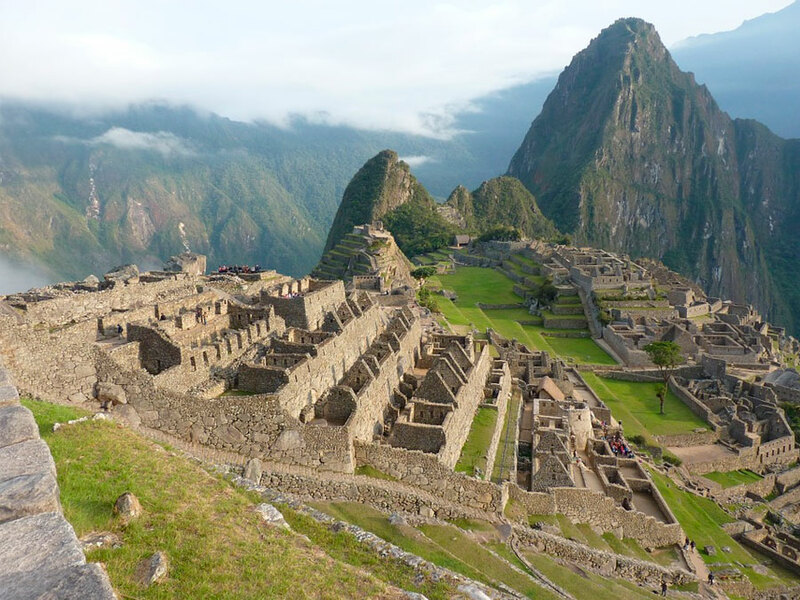 For full and detailed itineraries to help you choose which islands to visit, please send an inquiry to check on availability for your travel dates. Transfers in - out from / to Baltra airport. Visits as specified in the itinerary. Guidance in English / Spanish. 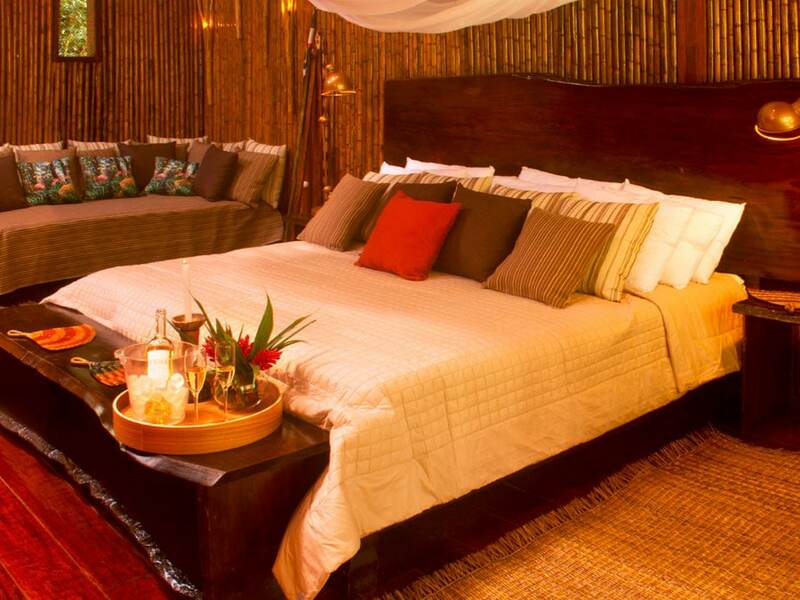 Accommodation for 3 or 4 nights at Galapagos Habitat Hotel (breakfast included). Snorkeling equipment for daily tours (mask and tube). Entrance to the GPS National Park ($ 100). Entrance fee to Isabela Island ($ 10). Lunch (1st and 4th day) - dinners - extra drinks. A supplement of 15% will be applied on the holidays of Carnival, Christmas and New Year´s Eve.